Accelerated development of smartphone hardware has made dents across industries, prompting manufacturers of cameras, radios, music players, navigators and even computers to innovate to stay relevant. Despite this, the multi-tasking smartphone can still do a lot for you. While it has become common to use the smartphone as a mouse or a webcam for a personal computer, innovative apps let you use it for special functions, like start a car, to make your life that much easier. Universal remotes have become obsolete, courtesy your smartphone. There are plenty of applications available for popular operating systems that can turn the smartphone into one. All you need is the IR accessory (not expensive) to be paired with the app. 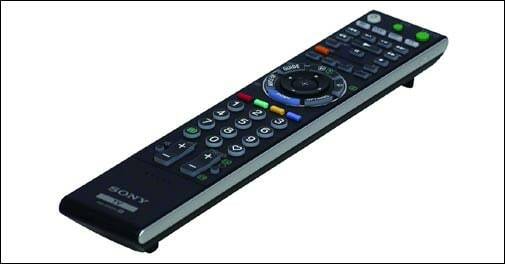 Most AV devices still use remote controls that work on infrared (IR) light. As smartphones don't have IR emitters, one has to install a dongle. For instance, the Tata Sky Mobile access app available for iOS and Android users lets you use your phone as a universal remote for Tata Sky, DVD, TV and amplifier. It requires an MP3 mobile accessory (Rs 350) to be connected to the phone's 3.5 mm jack. Dijit Universal Remote for iOS needs to be paired with Griffin Technology's Beacon. Re app, RedEye and Peel Universal Remote are some of the other options on the market. Search for universal remote apps in the iOS App Store and the Google Play Store for more options. If your TV has Wi-Fi or Bluetooth capability, there are also applications that can connect and control your TV via these. The modern worker relies on networking more than at any other time in history. Apart from meetings and conferences, we now have trade shows and expos to help network. All of these add to our collection of business cards. These cards are usually dumped in the maws of our office drawers and come out only when we need a specific contact number (that is if we can find it). But smartphones make organising these easy. There are applications that scan business cards and copy the information on the card to the phone as well as on the cloud. These use the camera on the phone to capture the image and with the help of a software reads details and automatically enters it in the phonebook. But not all card scanners are perfect. Some often have trouble recognising characters, especially when unsual fonts are used. Also, the phone has to be held very steady and lighting conditions have to be near perfect. CamCard is an application that is very accurate. Once the image is captured, it automatically saves the information to the card holder (a unique folder) or the address book. The free version of the application allows users to save up to 20 contacts in the first week followed by two contacts every week and is available for iOS and Android users. ScanBizCards not only saves the information to the phonebook but also backs it up on the cloud. It also synchronises contacts between iOS and Android devices. WorldCard Mobile is an alternative application that is also good at accomplishing this task. Using GPS-enabled smartphones as navigators or using applications to locate where your car is parked is fairly common among the technologically aware. But how about locking and unlocking your car using your smartphone? Or even starting an engine with a tap on your smartphone screen. This remote key comes in the form of the Viper SmartStart app for iOS, Android and BlackBerry smartphones. But it requires you to have the Viper Smart Start GPS device that costs around $400 (about Rs 21,200). You need to download the free app and pair it with the GPS device. Install the Viper SmartStart security system in your car, connect your phone to the system in your car and authenticate using the GSM network. The app can also be used to heat or cool your car remotely and, of course, locate where you've parked it. Some apps, such as Trapster, can even alert you of roadway hazards and police speed traps. You don't have to carry a tape to get near-accurate measurements anymore. Just download an app. These commonly use trigonometry to calculate distances while some use GPS, better for irregular surfaces or areas. While hunting for a house, you can measure how high the ceiling is or calculate the floor area. You should be able to spot inconsistencies pretty fast. But keep in mind that these apps, which use augmented reality, are not accurate to the dot. You will need to double check. Some even come with a unit convertor. Is fitness on your mind but you can't (or don't want to) spend too much money on it? Smartphone apps can help you out. You can find free yoga, cardio, weight training and other fitness guides in the application markets for Android and iOS. Some have videos while others use images or illustrations. There are even digital pedometers available. Applications that monitor blood pressure and sugar levels can be paired with special accessories to help keep regular records. You can also record food intake to calculate calories and keep a track of your routine. There are also first aid apps that guide you in case of an accident or a medical emergency. This could be a little in the future. But, imagine controlling your home's lighting, entertainment devices and security system using your smartphone. The Crestron Mobile control app for iPhone, iPad and Android devices does involve a sizable investment but it's worth it if you have the cash to spare. You will have to install the Crestron automation system and download the Crestron Mobile G app to configure the home control unit. With Near-Field Communication (NFC) hardware coming to smartphones, everyone is expecting a gradual decline in the use of plastic cards and cash. Digital transactions might still be a distant dream for most Indians, but some providers have started scratching the surface. The future is not very far away. For instance, Airtel Money users can recharge their accounts and use their phones to pay electricity or mobile bills. Even a few coffee shops have started accepting such payments. Phones are also replacing swipe machines for small businesses through the use of a special accessory that can be attached to the phone's 3.5mm jack. MTS had also launched a pilot service, called mPoS (Mobile as Point of Sale), that was designed to help retailers who delivered directly to customers (at their home or office), such as e-commerce firms or food chains. The service allowed users to swipe debit or credit cards on a portable card reader accessory and use an application to process the transaction. Barcodes and QR codes are ubiquitous. They're on the products you buy at the supermarket, on the magazines you read and even on the websites you visit. QR codes are the mosaic black-and-white squares that usually offer an efficient link to websites and can store small information such as text, phone numbers, mail addresses, calendar events or even send SMS messages. If you can decode these, you have access to (sometimes) valuable information. Your phone's camera can be used to scan barcodes and QR codes through third-party apps. Launch the app, line up the camera with the QR code and hold the device steady until the app reads the code. All will be revealed. There are even apps that let you create your own QR codes for a an easy way to carry and share information. With the increasing number of portable devices, such as laptops, tablets and even music players, we need to be connected to the Internet constantly. Wi-Fi routers are good at keeping all these devices online but what do you do when you are on the move? You always have the option of buying a data dongle or a portable Wi-Fi hotspot. Alteratively, if you own the latest Android or Windows smartphone, you can use the phone's data connection to create a secure Wi-Fi network of your own. This option is available in your settings menu as 'Wi-Fi hotspot, Internet tethering or Internet sharing'. You can secure this network with a password and connect up to five devices to surf the Net. In developed countries, operators have special plans for Internet tethering. But thankfully, Indian carriers don't charge extra for mobile hotspots. Do you stay alone and don't think it makes sense to invest on a television that is used only a couple of hours a day? Or you travel so often that paying for cable is a redundant expense? If you have a smartphone and a good data connection, you have a solution right there. There are apps that enable you to stream live televsion onto a handset. But while these apps are free, the services won't be. Channels will come with daily, weekly or monthly subscriptions. Also, for seamless streaming, you would need fast, uninterrupted data connectivity- ideally over a 3G or Wi-Fi network. Also, keep in mind that streaming videos consumes a lot of data. So invest in a data plan that covers this (combine the cost of cable and an Internet connection). Zenga TV, ditto TV, mimobiTV, MunduTV are some popular live streaming apps.